Made to order dinner plates and dinner bowls. 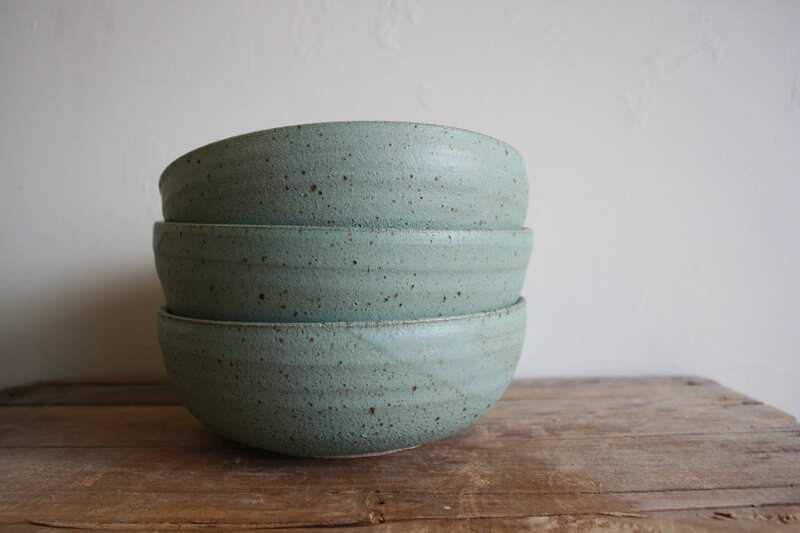 This listing is for one plate and one bowl, please specify on the quantity drop down menu how many you would like in your set. 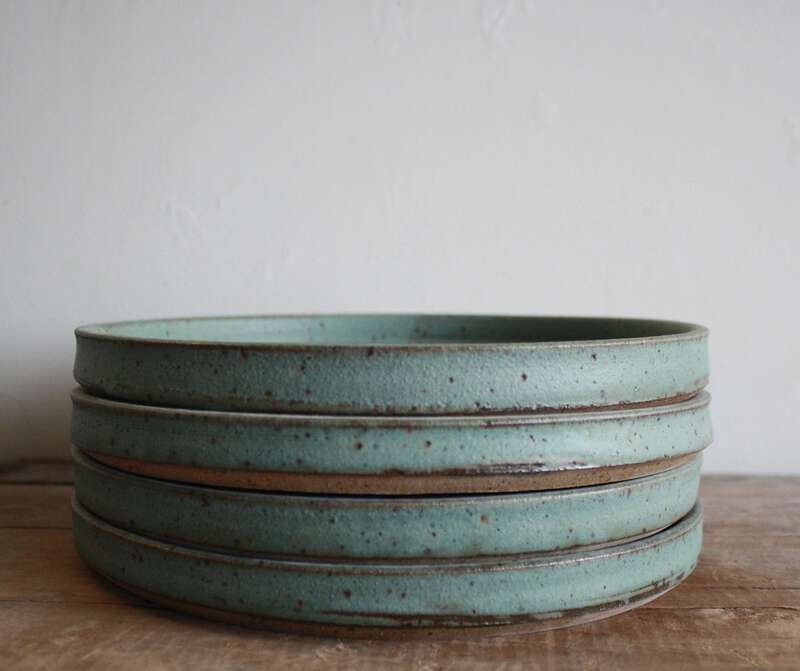 These handmade wares are made from a iron red earthenware clay. 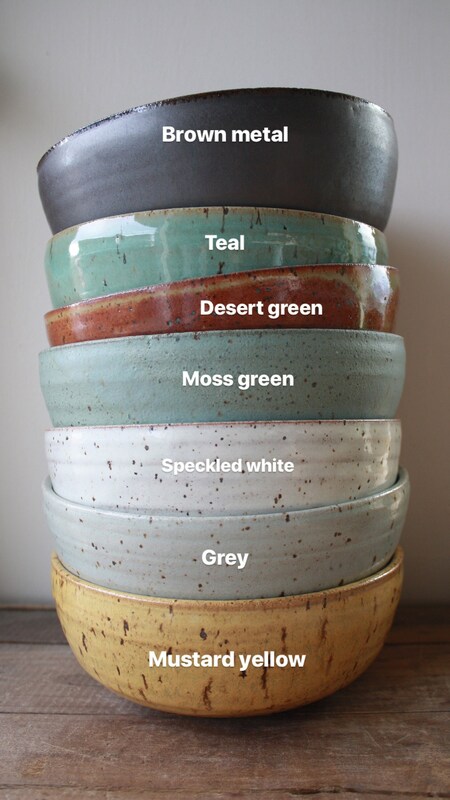 Sets may be ordered in a Speckled Grey, Mustard Yellow, Desert Green, Speckled White, and Teal, Smoke Blue, Brown Metal, Moss Green, Sand, and Walnut. 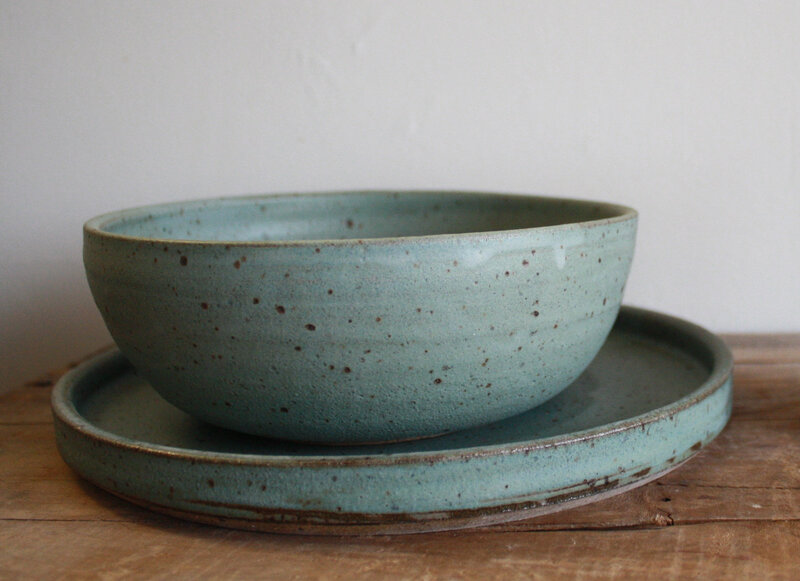 (The first 3 photos are of the Moss Green glaze, the other set is in speckled white). Plates measures approximately 10-11" in diameter. 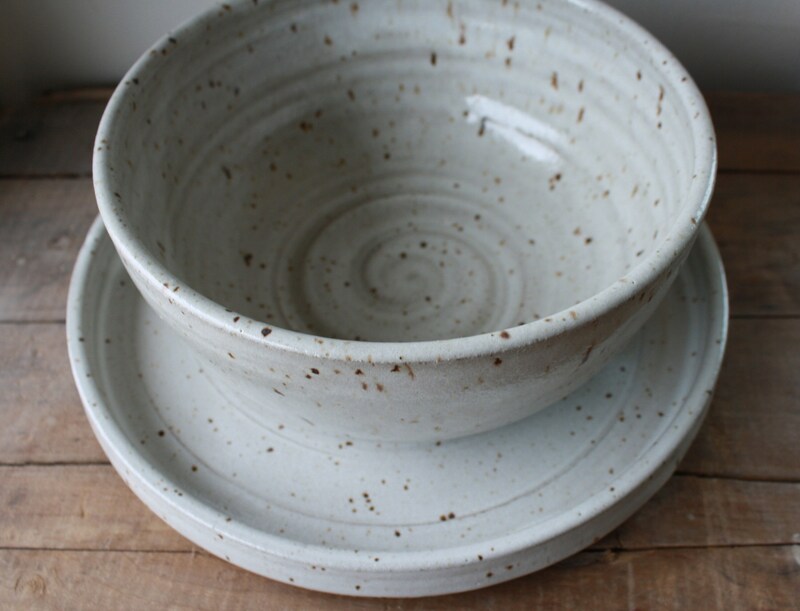 Bowls measure approximately 7" at rim and 3" tall or extra deep for 4" tall. Absolutely lovely. I use it with my husband every day. 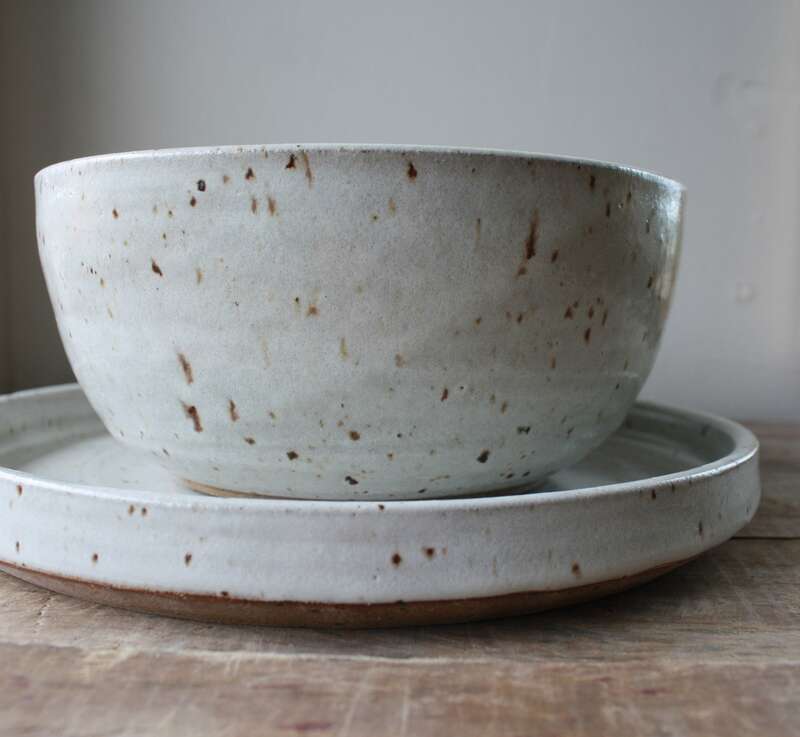 Such a pleasure to use the dinner plate and bowl. At first, I thought it was a little too large, but once I started to use it, I realized it is a perfect size with the different types of dishes. Highly recommend. Please excuse the lighting. 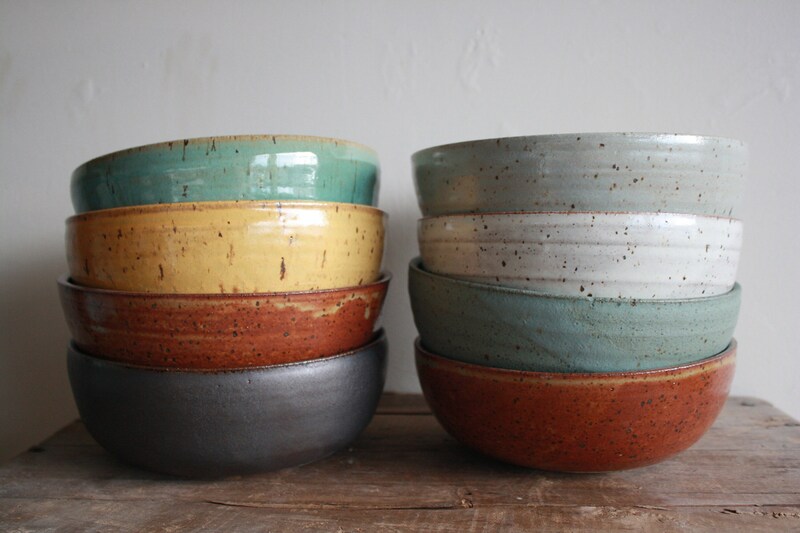 This stoneware is amazing.